Coal Flooding News: As the australian floods and devastation news in the eastern states hits the world news all over , another event in africa is adding to the pain of coal importing countries. To add to the coal export worries in australia, now africa us having heavy rains impairing thier coal exports as well. This chain of event can mean only one thing higher coal prices due to this shortage in coal in australia and africa which are one of teh bigger coal exporting countries. 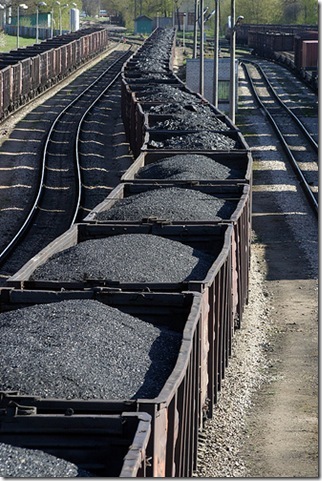 China and INDIA which have substantial coal imports from these countries will certainly be affected , even though china has its own coal producing mines. Three big coal miners BHP Billiton Ltd., Xstrata Plc and Anglo American Plc, already facing delays in coal shipments from flooding in Australia, said their South African operations are also being hit by unusually high rainfall. South Africa raised the flood-warning level for its central Orange River area today as water levels in places were expected to reach the highest since 1996. The country’s biggest dam, Gariepdam, is at 113 percent of “full” levels and the second- biggest, Vanderkloof, is 107 percent full, according to figures on the website of the government’s water department. Coal for delivery to Amsterdam, Rotterdam or Antwerp with settlement next year rose $2.85, or 2.4 percent, to $119.75 a metric ton at 12:28 p.m. in London. Prices rose as high as $120 earlier yesterday. One of Queensland’s largest coal terminals has stopped exports and the largest in the state is at just 60 per cent capacity, ripping nearly two million tonnes of coal a week from the global supply. About 40 mines in Queensland have been affected by flooding and several have said they cannot meet their contracts. Australia’s coal exports will probably take a few months to recover after the floods, Barclays Capital said in a report. That means further upward pressure on prices in the near term, Barclays analyst Yingxi Yu said in a report e-mailed today.